Peter Liang, the officer who fatally shot Akai Gurley in a dark Brooklyn public house stairwell in 2014, has been given five years probation and 800 hours of community service. Gurley, 28, was unarmed. Gurley’s family and protestors outside the court house felt differently. “We are sick and tired of police officers not being held accountable for the killing of civilians,” said 34-year-old protester Rodrigo Starz. For Liang’s side, some 100 protestors were on hand to support the judge’s light ruling. After securing a guilty verdict of manslaughter, which carries a sentence of 15 years behind bars, in a last-minute twist Brooklyn District Attorney Kenneth Thompson suggested the officer instead receive just six months of house arrest and 500 hours of community service. In lieu of jail time, Judge Chun reduced Liang’s conviction to criminally negligent homicide with probation and 300 more hours of community service. 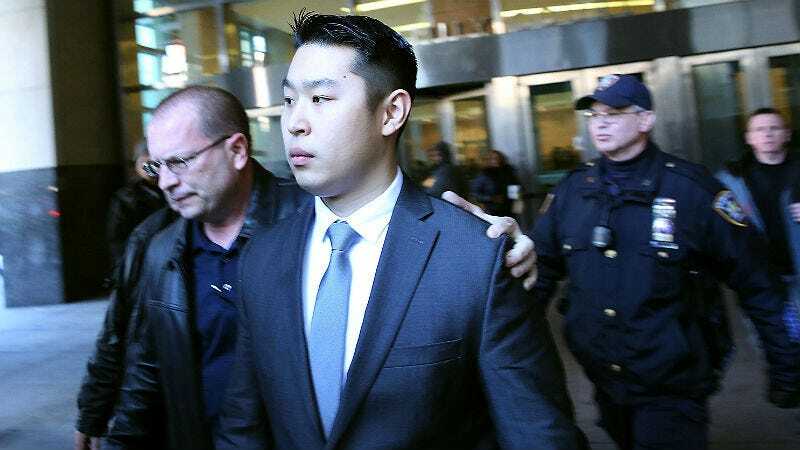 Liang is the first New York City cop in ten years to be convicted in a fatal shooting incident.